It is Winter. Alder, big-leaf maple and their deciduous kin have shed their summer outfits, leaving them to fall as they may. Draped over branches, covering rooftops, spilling over gutters, crumpled on the forest floor, these leaves spread everywhere as if unchecked children had refused to clean their rooms. Sitka spruce joins in, depositing spent and golden needles by the millions everywhere. After a good storm, these needles scribe a glowing path that shows where and how the rains flowed. It is Winter. The holidays bring a spirit of giving and I have been gifted "The Overstory," a 2018 novel by Richard Powers. I am sympathetic to the entirety of this book: trees, people, and story. On page three, a tree says to a woman, "A thing can travel everywhere, just by holding still." I plan to read this 500-pager over the ensuing months to see where the trees have taken Mr. Powers, to see what glowing path flows from his words. It is Winter. Looking back over 2018, I pledged to volunteer at Sitka Center for Art and Ecology in meaningful ways. 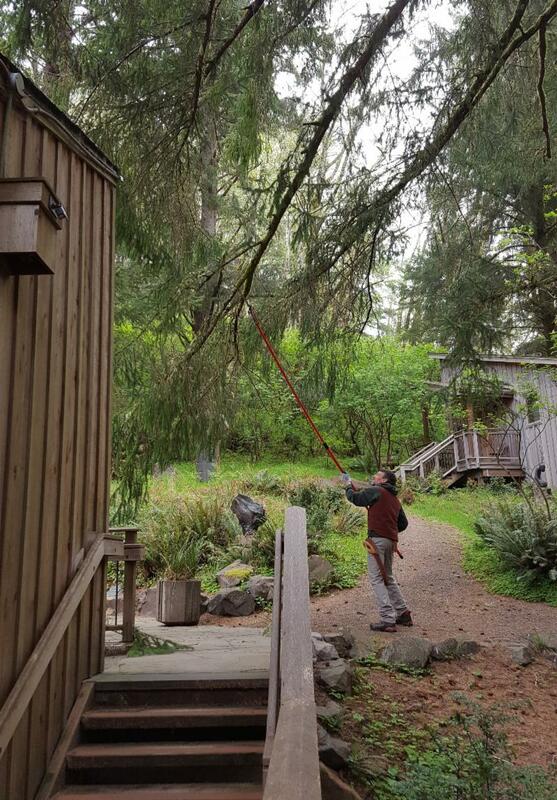 In Spring, the Sitka Spruce-Up. In Summer, Grass Mountain Open House. In Fall, the Sitka Art Invitational. The best part of those well-spent hours proved to be the people-the people of Sitka. Staff, members of the Board, fellow volunteers, the artists, the scientists, and the public all brought a resonance and a reverence for the place, the organization, the art, the science, and for the spirit of Sitka Center past and present. 2018 turned my intrigue into connection and the desire for Sitka's success into the future. It is Winter. Now at the Sitka campus, those leaves and needles and glowing paths present themselves as a time for maintenance. Other repairs await the shovel, the screwdriver, the wrench. And there is learning to be done-from the wise who have walked this land, this campus, this mountain and then turning that wisdom into institutional knowledge. Along the way, there is planning and anticipating for the coming year. It is Winter. With all that flows through Sitka Center, it is time to see how far I can travel, just by holding still. Bob is a longtime Sitka friend and volunteer, including helping out at the Sitka Art Invitational, our Spring Spruce-Up and the Grass Mountain Open House. 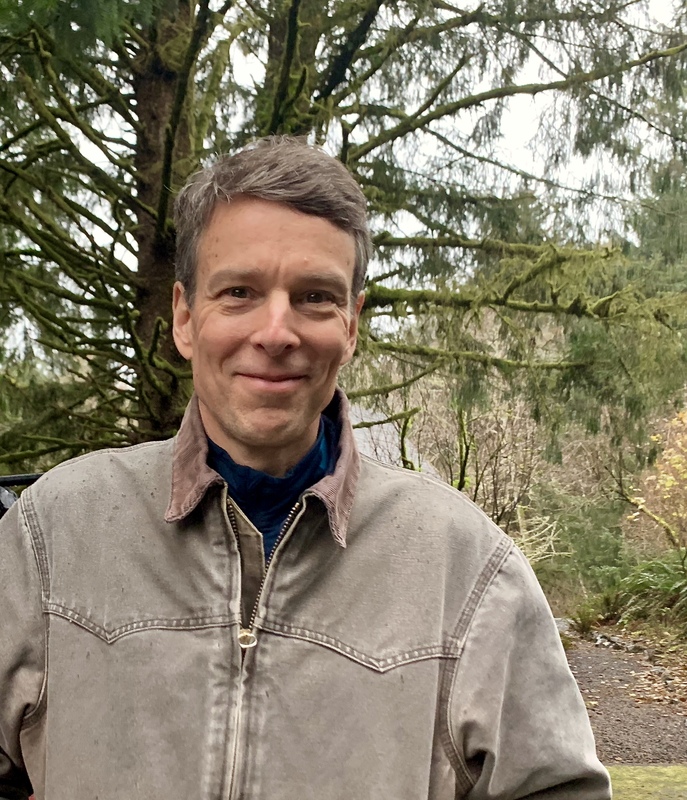 With his experiences in construction, forest management, tree care, writing, editing, and photography, we welcome Bob as our Winter Facilities Manager.